I recently received an email from Boohoo.com about their #PartyPose competition where you could win £100 Boohoo vouchers for yourself and £250 for your readers! Create a party outfit under £100 with at least 3 Boohoo products! EASY! Boohoo have such pretty clothes at amazingly cheap prices – I’ve got a lot on my Xmas wish list from Boohoo and this has extended after looking at outfits for this post! If you want to enter too click here. I’ve put together a leather style jacket – Boohoo.com – to keep warm on the way to and from the party this cold December! I would wear this jacket open (to show off your bralet underneath!) with the sleeves rolled up for that ‘rock chic’ look. The bralet – Boohoo.com – is such a great A/W 2012 piece as studs are so popular right now! With the jacket on top you aren’t showing too much skin so you don’t have to feel so self conscious! I chose a plain black skater skirt – Boohoo.com – as skater skirts are pretty much on sale everywhere right now and is a piece which never seems to go out of fashion. The skirt is plain so it doesn’t distract everyone’s attention from the amazing studded bralet! 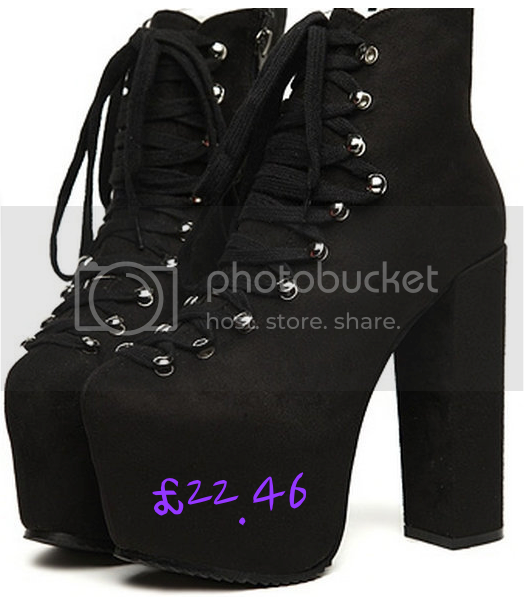 The shoes I’ve paired are a brilliant copy of the Unif Hellbounds – eBay – and I will make sure I make these mine soon 😉 The black colour goes very well with the black jacket and skirt. 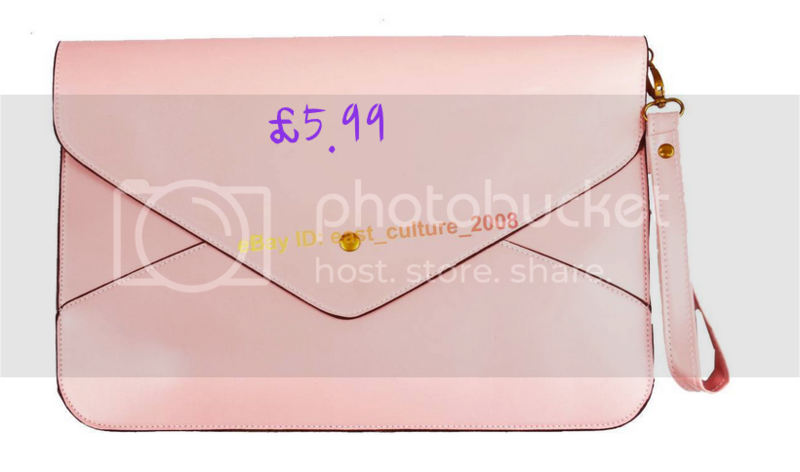 I did consider choosing a brighter pair of shoes, like red or blue, but thought I wouldn’t add too many colours to the outfit and kept it simple with a baby pink clutch – eBay – which you could easily match with your baby pink lipstick and smokey grey eyes.